So, you have done your homework, developed a rock-solid presentation, prepared an agenda, you are dressed professionally and now it’s GAME TIME! You are at the corporate campus with a friendly and confident smile, ready to wow your next client! What next? Execute your plan but be prepared to answer any questions or share information if the client asks. This will help you stay on track, cover all critical topics and help your conversation flow in a professional manner. It might sound self-explanatory but you'll want to provide your name, title, background, and thank them for having you in to discuss solutions for their wellness needs. Then recap your understanding of why you are there (who invited you), what they asked for. This is important as you should always ensure early on in the meeting that you have a clear understanding of what is being asked of you and to ensure everyone is on the same page. Hopefully, you were able to get an understanding prior to the meeting about what the client is seeking and was able to do the needs analysis prior to the meeting. Nevertheless, state your understanding or gather during the presentation. ...you should always ensure early on in the meeting that you have a clear understanding of what is being asked of you and to ensure everyone is on the same page. Have your PowerPoint presentation already open and ready to share. Share your company’s profile (mission and vision statements, your staff and their qualifications), key clients and success stories, corporate wellness program benefits, services, and products offered, your company differentiators—(this is what makes your company stand out above your competitors). If you have a short marketing video, you may want to play it. This is optional. Doing so will give you the intel to what you will include in your proposal. What are your top 5 goals for your wellness program? What are your employees asking for? What are your top health claims? What type of health insurance plan do you offer: self-insured or fully-insured? Is your wellness program going to be covered 100% by the company, by the employee or subsidized? What type of programming is desired: On-site, online, in our studio? Do you have a fitness center on-site? If so, may I have a tour? If not, what other space is available? What are your general liability and workmen’s compensation insurance requirements? While this isn't necessary or applicable to all if you have them be ready to show if your potential client indicates an interest as a result of asking the questions above. You can wow them by showing them your products. Ideally, you want to leave having a clear understanding. Ask for their confirmation. With a nice and friendly smile, tell them that you will provide a proposal to them by a certain date and stick to it! I would not ever go past one week. Two to three days would be best. As you shake their hands, thank them for their time and for having you in to better understand their needs. Tell them that you would love the opportunity to partner with them to deliver a world-class wellness program! Remember, a first impression is a lasting one! Be confident, listen actively and again thank them for the opportunity to present your solutions and products. You are on your way to a new corporate wellness contract! Lisa Williams is the Founder and Chief Corporate Wellness Officer (CCWO) of TravelTrim Corporate Wellness, LLC. She has been working in the Corporate Wellness space for over 14 years and runs an extremely successful program at a major manufacturing company in Kentucky with 3700 employees. 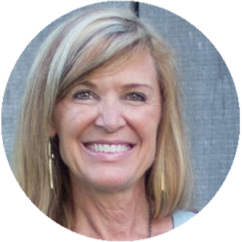 In addition to her work with TravelTrim, Lisa has worked in the corporate environment for a major Fortune 500 company for 23 years, contracted for NASA and Naval Oceanographic at Stennis Space Center for 7 years and has a solid business, technology and digital learning background. In addition, Lisa is a member of Todd Durkin’s Mastermind Business and Life Coaching program and has been featured as a resident expert in the Corporate Wellness space. The company mission is “Keeping organizations’ most valuable resources, their employees, fit, healthy and happy through online and on-site well-being services and education”.